Race: Fox Faunus; has ears and tail. 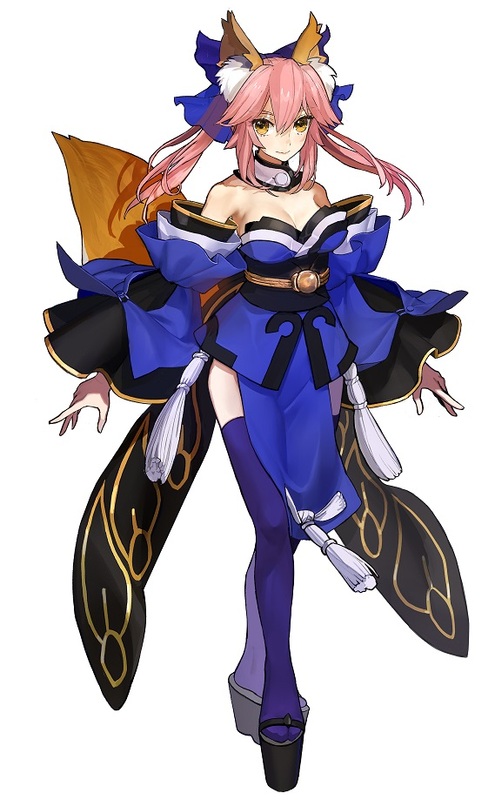 Face Claim: Tamano; Fate series. Overall Personality: Medea's personality is as bubbly and fluffy as it gets, always happy and cheerful, enjoying her time with others and rarely getting mad or sad even in serious situations as she wouldn't want to make others sad by seeing her looking miserable. Being the social butterfly she is, Medea is always on the lookout for people to talk to, even if she doesn't know them and even if she's disliked if that's even possible. If it's the case though, she will do everything in her power to be liked as life is too short to spend it with hate in our hearts. But while Medea does try her best to please others and spends most of her time surrounded by people, she lacks the capability to read between the lines, weither in words or actions and will most likely miss the intentions of others unless she's being told directly which can make her quite naive at times, but being dense as she is is part of her charm. The other important thing concerning Medea is that English is not her first language and she is still learning it thus making conversation slow, weird or awkward at times. She does try her best and may require some help which she won't be refusing. Note that whenever she either speaks to herself or to member of her family, it will be writen in French which is her first language, but do not fear, a direct translation will be provided by yours truly via parentheses. Semblance: Vectorial Redirection; Locked; This Semblance will have multiple uses once Medea unlocks it. The way it'll work is that when used, it'll create a small blurry field to the designated location and whatever finds itself in it can have its force vectors redirected in any direction. The field needs a direct line of sight in order to be created. 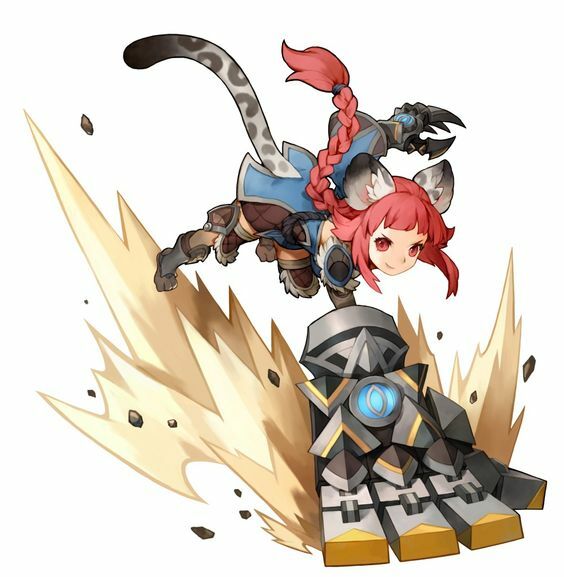 Utility: The main use for Medea will be for redirecting herself in any required direction, seemingly jumping off of thin air for additional jumps or last second airborne maneuvers. It'll helps her stay in control of the fight by always being on the move as long as her aura pool will allow it. 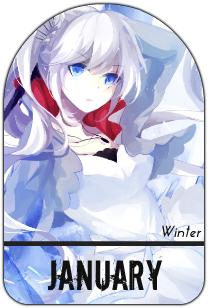 This use however cannot affect others unless they allow it, their own aura protecting them from the Semblance's effect. Grimms though can be affected to a minor extent du to their sizes. Defense: A secondary use for the Semblance can be used to defend against certain attacks. Although as previously mentioned, with their aura protecting them from the effect, melee attacks from other huntsmen will go right through and with their size Grimms aren't affect as well. The only way this Semblance can reduce incoming damage is when projectiles are involved. At their speed they cannot be totally stopped or redirected, but they can be slightly slowed down to reduce their impact. Item 1: Machina's Claw; Weapon; Medea's first project is a simple looking glove which fingers are covered with sharps blades. While this simple weapon doesn't look like much, it can be used to help in climbing situation and it is not without its upgrade potential and Medea knows it. When not in used, the blades retract and cover the top of the hand. Item 2: Machina's Hand; Physical Armor; Medea's second project that she is working on. It is still in its rough state, but it is made from a durable material and can take quite the hits. It is used like a shield while being able to still grab on to things, although small objects can be hard to hold. When not in used, it looks like a regular metal glove similar to her claw, but when activated it becomes way larger and bulkier. No one really knows how it works beside Medea herself. It all starts not with her own, but with her father's story, Torresian Jackdaw, a young man who for the longest has been living his passion at the cost of isolation. Born with a rather exotic faunus trait, his early years were quite tedious on the front of clothing as black feathers were sprouting from his forearms, making anything and everything with sleeves a nightmare to handle. This hardship however grew into a challenge that Torres innevitably managed to get through when he started to make his own clothes to acomodate his trait. The more he trained, the more he was getting noticed by the other faunus that were having problems with their clothing which soon brought commissions to his door and sooner than later, Torres opened his tailor shop: The Jackdaw's Nest. His reputation grew and grew, his name could even be heard all over Remnant at some point but the fact that he only had a simple shop all by himself made it quite hard for him to go international. After thinking on the matter for over a year, Torres decided that the time to expend had come, and so he went on a worldwide trip in order to visit each and every kingdom to find the best spots to open more shops and hire the people he would need to handle them. On one of his many travels, Torres visited a small village practically hidden in the mountains called Takamura Village. While he didn't have the ressources to open a shop in such a distant location, it is there that he met the most beautiful person he ever had seen in his life. Call him foolish, but he knew that it was love at first sight and call him lucky but it was the same for her. Irene Takamura, appointed assitant to the mayor of the village was the most popular girl in the mountain range for her beauty, but Torres' love and admiration for her only grew due to her role in her community while she fell for his innocent charm and his quest for faunus fashion. A faunus herself she understood the issue he was "fighting" and both of them were quite happy together. Irene soon became pregnant and while she wished to be able to leave her role in her village in order to live as a family and go with Torres, but as one of the few people speaking English in the village she was forced to stay at least until someone would take her place. She refused to see Torres give up on his dream and so she convinced him to follow his path and that once he would be done with his travelling he would be able to come back and take his turn in raising Medea, their daughter, while Irene would train the one that would take her place. During her early years, Medea grew up in Takamura Village, taking its name as her own as by tradition and learning French over English as it was the dominant langauge in the village. She was the playful girl that everyone loved and growing up she was told to have heneritated her mother's beauty. Over the years she learned more and more of her father through Irene's many stories but nothing could prepare her for the day she actually met him. Happy reunion for the whole family yet harsh heartbreak when it came to say goodbye to her mother. While it was tough, it was necessary as both Medea's parents didn't want her to live her whole life in a secluded mountain. Leaving the village behind and heading to Bellmuse, Torres thought everything he could to his daughter, telling her about the world, all the things Irene may have left out in her stories such as the treat Grimms were. The more she grew up and the more she learned about the Grimms, the huntsmen who protected Remnant and the schools all over the world that trained like-minded individuals to fight the good fight, Medea one day decided that she would join the battle against the forces of evil. While Torres wasn't too warm at the idea of his daughter going out to kill dangerous beasts, he thought he wouldn't be a good father to stop her from following her dream just like he did. Training her in any way he could, Torres did everything he could to prepare Medea for her upcoming adventure and enrolled her at Syne Academy which was the next safer step for her to follow. "Papa! T'aurais pas vus mes gants? J'arrive pas a les trouver!" (Dad! Have you seen my gloves? I can't seem to find them!) did a voice cry out from upstairs among the sound of a ruckus followed soon by footsteps going down the stairs that were in the back of the shop. A pair of black gloves sits on one of the bags that are piled near the entrance with a tall man finishing the preperations. The girl runs up to the gloves and puts them on before glomping her father who immediately starts laughing. "Merci Papa, t'es le meilleur!" (Thanks Dad, you're the best!) The man petted his daughter's head, making her ears twitch and her tail wag slightly before they brought all the bags to a taxi that would lead them to the airpad heading for Syne Academy. This would be the first day Medea would be without any of her parents, hopefully things wouldn't be lonely while she studies there.